We welcome you to the ultimate internet service shopping guide for online gamers! This guide will help you choose the best internet service for your gaming needs. It’s easy to follow, to the point, and it has been written “exclusively” for online gamers like you. Which type of internet connection is best for online gaming? If fiber internet isn’t available in your area, then go for cable internet. If cable internet isn’t available either, then go for DSL. And yes, avoid subscribing to a bundle plan since it can affect your online gaming experience. When it comes to online gaming, ping is the king connection feature. Ping is the total time it takes for a data packet to travel from your device to the server and back to your device again. The ping of your internet connection shouldn’t be more than 75–100ms. The less it is, the better. It’s crucial to choose an internet connection with a “minimum” upload speed of 2 Mbps. Also, if possible, invest in a connection with a dedicated line to minimize hops and routes issues. Both the above listed features impact your streaming and game downloading experience, whereas upload speed and ping impact your game play experience. Internet service providers make big promises. However, only a few deliver on their promises. No matter what an internet service provider claims in their sales pitch, always double-check on their reliability. Ask people in your online gaming community for service recommendations. If you don’t know anyone, you can contact us for help; our internet experts will be happy to give you their unbiased review on which service provider in your area is reliable and which one isn’t. And well, that’s all there’s to it! You can now go out there and start shopping for an internet service provider confidently. Looking for a convenient shopping platform? Check out our comprehensive database of internet service providers. 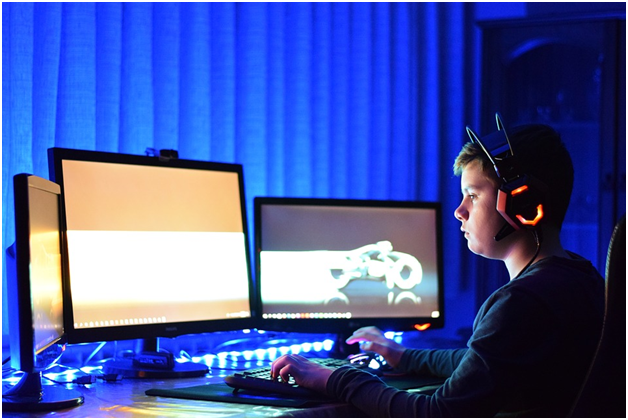 It offers complete details of ISPs operating in your area and lists down the best internet deals for your online gaming needs. Finding the best internet service for your gaming needs was never this convenient before!